It’s no secret that on-the-go liquid beverage concentrates have taken the supermarket aisles by storm. We posted about the game-changing Mio Liquid Water Enhancer, and the additions of major brands like Crystal Light, Dasani, Crush Soda Pop, and Kool Aid who have since followed suit, earlier this spring. Now this popular packaging configuration is popping up in another sweet spot of the grocery store – the baking goods aisle. A number of private label artificial sweetener brands can now be found in this miniature packaging form factor. We first noticed it earlier this summer in our local Stop and Shop market – where they debuted liquid sweetener solutions in the forms of sodium saccharin, stevia extract and sucralose. 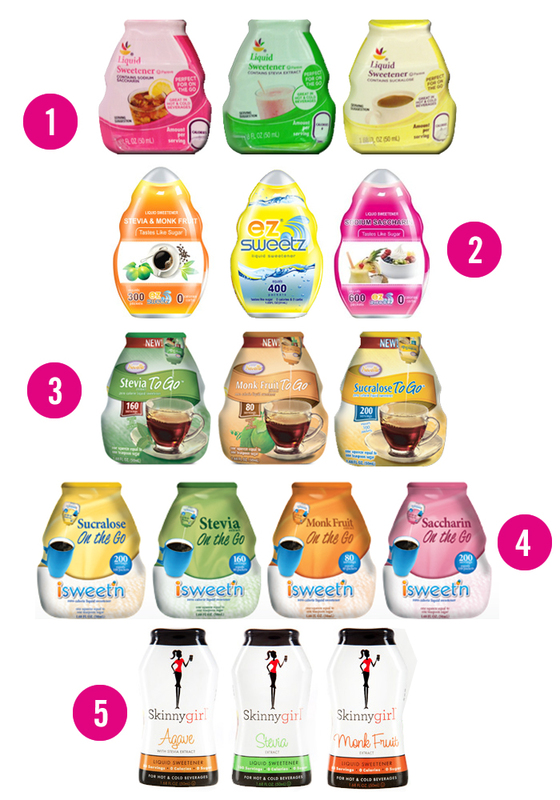 EZ Sweetz, iSweet’n and Nevella, are all private label sweetener companies, who are also offering their trademark products in the new form factor. Also recently spotted – Real Housewife of New York and Celebrity Cook Bethenny Franklin has applied the same treatment to her well-known Skinnygirl brand. “I love that the liquid bottles are less than 2 ounces — small enough that you can throw them in your purse for when you pick up a to-go coffee or have a drink with your girlfriends,” said Franklin during the product launch in August 2013. How long until we see one of the big three – Sweet ‘n Low, Splenda, or Equal – or perhaps even Domino Sugar, make their debut?